8 Dec : Home Minister P Chidambaram on Tuesday replied to the debate in the Lok Sabha on the Liberhan Commission report accusing the saffron party and RSS of hatching a conspiracy to demolish the Babri Masjid structure adding that the people have rejected once and for all their politics of divisiveness. In his reply which lasted for nearly an hour with the near din being created by the BJP members being in the well, Chidambaram also roped in the Shiv Sena for being a party to the conspiracy. Time and again the Home Minister quoted extensively from the Commissions’s report to establish that the demolition took place with the connivance of the BJP government in Uttar Pradesh, when Kalyan Singh was the Chief Minister. Quoting from the Commission’s report, Chidambaram said some of the Sangh Parivar leaders who were key persons involved in the demolition included Ashok Singhal, Swami Paramhans, Uma Bharti, and Sadhvi Ritambara. He said Kalyan Singh did not use the full paramilitary force that was at his disposal to prevent the collapse of the structure and misled not only the Central government, but also the Supreme Court and the National Integration Council by falsely stating that he will do all within his command to protect the structure. The Congress government at the Centre, led by Narasimha Rao, made a wrong political decision having been taken in by the false commitment made by the leader of the Uttar Pradesh government. He said BJP leaders like L K Advani and Murli Manohar Joshi were well aware of what was in store and were present on the site even on 5th December 1992. Describing 6th December 1992-the day the demolition took place—as a “black day’ in the history of India, Chidambaram said the police lent a helping hand to the ‘Kar Sevaks’ in bringing down the structure, which was done by drilling a hole in the dome from below and not from the top. Some of the Sangh Parivar organisations that were involved included the RSS, VHP and Bajran Dal, he said. The entire reply was marrred by slogan shouting by the BJP members, who made remarks like ‘Atalji Ki Jai’ and ‘Congress down down”. So shrill was the shouting that Chidambaram’s address was audible with a great amount of dificulty. The Home Minister was not deterred by the shouting and ended his speech by saying that there were two ideas of India–one of divisive India purported by the BJP and the other of it being a secular entitiy as conceptualised by the Congress Party. Time and again in the recent General Elections the people of India have thrown out lock, stock and barrel the BJP’s divisive politics, by defeating them at the hustings. 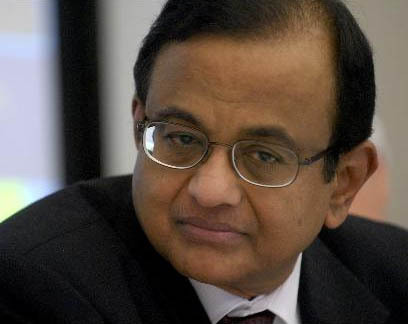 While the indictment of the Liberhan Commission was serious, even more serious was the rejection of the politics of the saffron party by the people, Chidambaram said adding that the country has accepted only one definition of India, that is of secularism and pluralistic society to which the Congress party was wedded. The Home Minister was probably at his best as he remained almost unmindful of the continuous and top of the voice slogan-shouting and the attempts by the BJP to disrupt his reply. At one point a paper was hurled towards the Treasury benches, which provoked the ruling party members to walk to the front seats in anger. Chidambaram, however, cajoled them gesturing with his hand to go back to their seats, which they did after a while. The Home Minister towards the end of his sppech, made use of his hands again and again and spoke at all the force at his command to state that only the Congress agenda of secularism was acceptable to the people. Earlier the House was adjourned twice on a remark made by Beni Prasad Verma(Congress) relating to former Prime Minister Atal Bihari Vajpayee. The Oppositon wanted an apology from him.